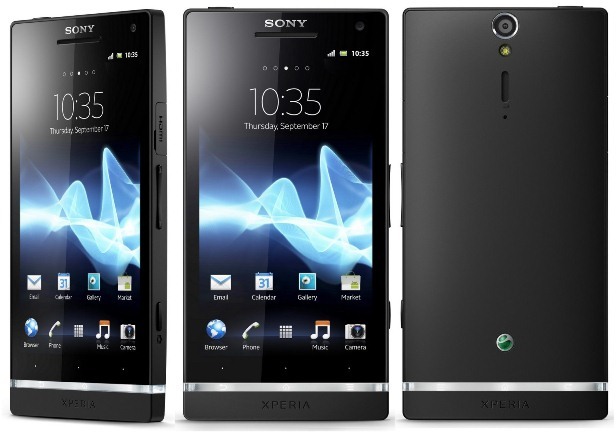 The stylish and very good-looking Xperia S has been released by Sony Mobile in February 2012. The phone is quite affordable and comes with a large database of movies and a big music library, as well. By connecting the device to the big screen, you can enjoy some of the coolest TV shows and movies for free. If you are one of the owners of this smartphone and begun experiencing software issues, you’ll be pleased to learn how to do a hard reset on the Sony Xperia S using our instructions. For whenever you’re planning to sell the phone to someone else, you forgot the SIM code or you’re having trouble with the device, generally speaking, this procedure will sort things out in just a few minutes. It is easy to restore your phone to factory soft without having to have any IT skills, by simply following the indications in the second part. This will remove all user data, so please make sure you make a backup. Equipped with a LED-backlit LCD made of scratch-resistant glass, the smartphone uses a micro-SIM and comes with a typical 3.5mm jack. It doesn’t support the use of microSD cards, but comes with an internal memory of 32 GB, as well as 1 GB of RAM. Using Gingerbread as its main operating system, the Xperia S lets you upgrade to Jelly Bean – version 4.1.2 of Android. The phone also has Stereo FM with RDS, comes with a dual-core CPU and a chipset type Qualcomm MSM8260 Snapdragon. Once of the most impressive features on this device is the 12 MP camera on its back – this one can also record 1080@30fps videos and comes with face & smile detection. You’ll also be able to use the 1.3 MP one on the front for video-chat purposes while this camera will record 720@30fps videos of pretty high quality. Whenever you lost your PIN code or password from this device, as well as when you’re dealing with various software problems, you should consider performing a master reset. This procedure can be done using at least 3 different methods, but before you follow our indications for each one of them, you might want to do a soft reset first. Go to Settings and select Backup and Reset. Tap Factory Data Reset and choose to Reset Phone. Confirm with the Erase all button and wait for the reboot to begin. With the phone still of, press Power and hold. When the LED turns pink, press Volume Down and hold it. After a few seconds, the Recovery Menu will be loading. Use Volume keys to navigate and Power to select an option. Choose Wipe Data and select Yes – delete all user data. Confirm Reboot System Now and wait until the procedure begins. Click on Start and wait for the installation to be done. Accept the Software Update option and click Start. Select Repair my phone and follow the instructions. Read all warnings and confirm. Select the model of your device and you’re done. All necessary indications will pop up on the computer’s screen, so there is no need to worry about this. Make sure you connect the Xperia S to your PC via the USB cable when using the last method. This one comes with a tutorial that will guide you through all the steps, but it might take a little longer than the other two options.